It is hard to believe that it has been almost three months now after I returned home from Southeast Asia trip. I have been eating and traveling through all the big cities: Hanoi, Hoi An, Saigon, Siem Reap and Bangkok. This week, I am working on the photos and recipes from our trip. 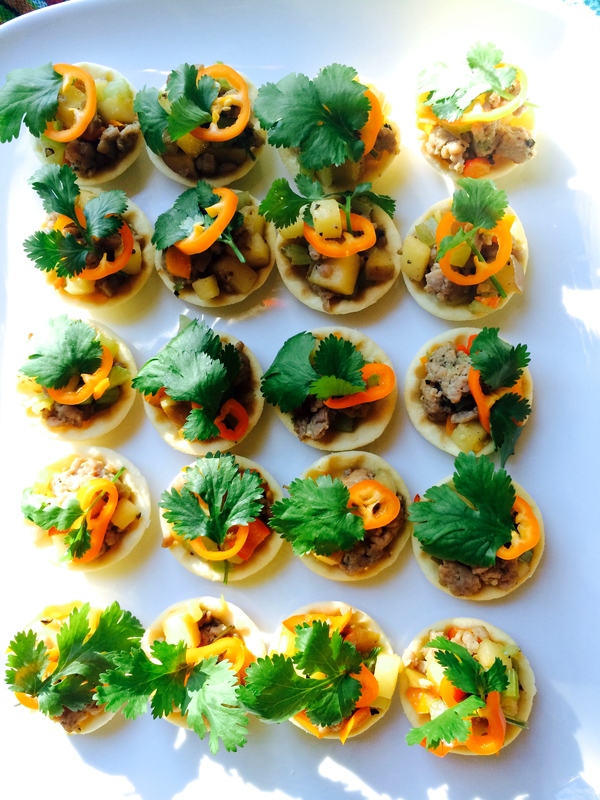 As I work on this project, I would like to share with you stories, recipes, food photos. Working on these photos and writing a food blog has helped me with “flavor-memories”. It is easy for me to recall Southeast Asian flavors because I am familiar with all the ingredients and the techniques used in these cuisines. I treasured my time with tour members in Siem Reap, savoring Khmer foods as much as we could in three days. 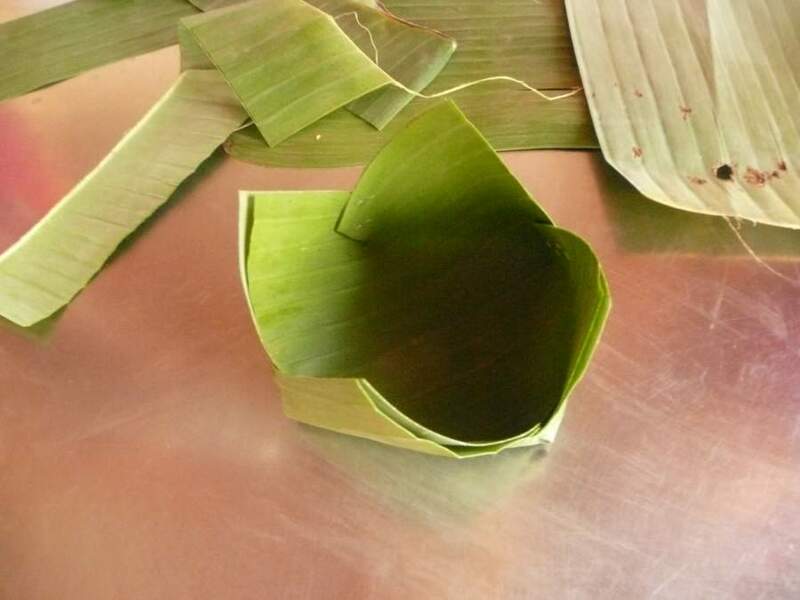 Last month I posted Kroeung, Khmer Curry Paste Recipe and Amok, Khmer Curry Fish Stew Recipe and now it is time for me to share photos and steps of making banana leaf-cups. After trying a few times, it should be easy. 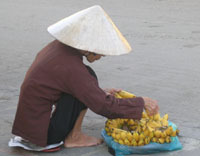 Banana leaves are available in Asian Markets. In Seattle, if you have fig leaf in your garden, I would recommend you to try that first. Have fun! Remove frozen banana-leaf package from the freezer over night or leave at room temperature for 2 hours before making. Tear banana leaf into 6 inch width and clean with damp paper towel. Need 12 pieces to make 6 leaf-cups. To make a cup, lay 2 banana leaves on top of each other with the beautiful green side facing outward. Trim with scissors to make a 6″ by 6″ square. Fold in the center of each side to make 1 1/2 inch deep and 1 inch over lappin., Secure with staple. Repeat the same process three more times on three sides of the square. It is done and ready for using to serve Amok, steamed jasmine rice, or any Asian dishes.